Honey is the Beyoncé of the beauty world. She's been around for ages, but is def still the queen of everything. Just take a trip to Sephora or even the drugstore for proof of her benevolent reign over face masks, shampoos, lotions, lip balms, and more. And like Beyoncé, honey benefits are more than just hype. "Honey does have natural healing properties," says Mona Gohara, M.D., the associate clinical professor at Yale Department of Dermatology, particularly for wound healing. It can also promote collagen building, Gohara adds, making it a great anti-ager. That's not all the sweet stuff can do: "Honey has natural anti-septic, anti-bacterial, and anti-inflammatory properties," says Dendy Engelman, M.D., a New York City-based dermatologic surgeon. Still, that doesn't mean that the stuff that comes in the bear bottle at the grocery store is going to magically fix all your skin problems. She recommends sticking with Manuka honey (a specific type of honey made from the pollen of the Manuka plant in New Zealand) because of its high antioxidant levels. If that price sticker is too much to bear, raw honey works well, too. Try it: Apply raw honey directly on the skin and leave it on for up to 20 minutes, then rinse and massage it off thoroughly with water. Try it: Apply it directly on the skin in circular motions. Leave it on for a few minutes before massaging it off. Like Gohara mentioned, honey is a great wound healer. The antioxidants in honey (particularly Manuka honey) nourish damaged skin, potentially helping the scar healing process. Plus, Engelman adds, Manuka honey's natural antiseptic properties help prevent infections and protects wounds—which can reduce scarring and cut down on healing time. 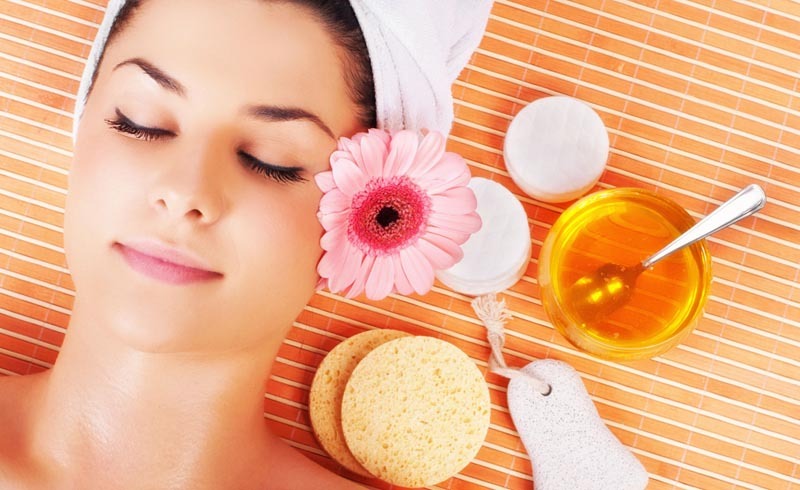 Try it: Massage raw honey directly to the affected area in a circular motion for one to two minutes, then rinse it off. Manuka honey in particular works well for this—it is an anti-inflammatory which can help reduce redness and swelling of pimples, says Engelman, and its antibacterial properties can help fight acne-causing bacteria. “Also, because honey keeps the skin well-hydrated and balanced, it helps control the production of oil," adds Pekar. Try it: Apply raw honey directly on the breakout and then rinse it off after 10 to 15 minutes. Up your relaxation goals and take a honey-infused soak. Honey’s hydrating powers will leave skin silky soft, says Pekar. Try it: Mix two big tablespoons of raw honey into one cup of hot water until the honey is dissolved. Pour it into a tub of warm water to soak. Since honey is a natural humectant, Pekar says, it draws moisture into the skin—keeping your cuticles happy and peel-free. Try it: Rub raw honey over each cuticle and leave it on for five to 10 minutes before rinsing it off. Try it: Mix one-quarter cup of organic raw honey with just enough fresh water to thin it out to the point where you can spread it around your hair, adding it tablespoon by tablespoon. Apply as you would a shampoo to damp hair and let it sit for 30 minutes. Rinse with warm water. Use twice a week. Everything that makes honey a great skin moisturizer makes it great for chapped lips, too. “The hydrating benefits with enzymes, antioxidants, and minerals work well to moisturize lips,” Pekar says. Try it: Apply raw honey directly to lips, leave on for a few minutes, then wash off. Honey can prevent your hair from drying out because it is very effective in retaining moisture and keeping locks soft and bouncy. It acts as a natural softener, says Fischer. Try it: Make a banana and honey hair mask by combining two very ripe bananas, half a cup of unprocessed honey, and one-quarter cup of olive oil. Blend the ingredients until smooth (you don't want chunks of banana getting stuck in your hair!). Apply this onto your hair and scalp evenly, then cover with a shower cap. Leave the mixture on for about 20 to 25 minutes, then rinse the mask out with cool or lukewarm water and shampoo. Comb through the hair to get rid of any remaining mask and rinse again. This mask can be used two to three times a month.